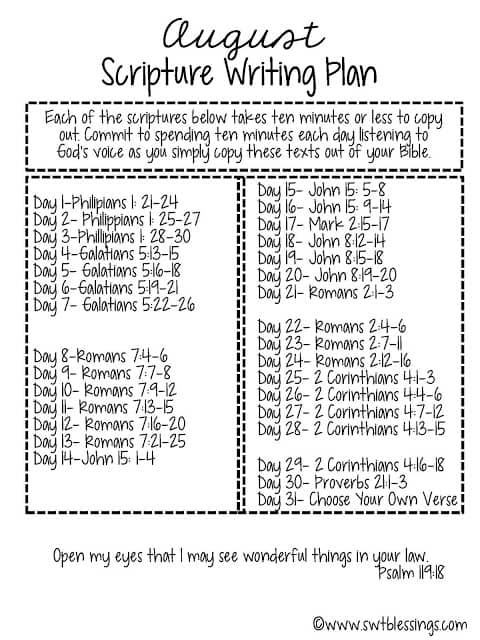 Shannon from Swtblessings.com has created another amazing Scripture Writing Plan for August. There is an English version and Spanish version as well as an unadorned (masculine) version. You can find more wonderful creations from Shannon by visiting her Etsy store (click here). Writing out scripture allows me to focus on it in a way that is much more meaningful in my scattered mind. I’m able to slow my thoughts down, draw closer to Him, and really get inside the word in a whole new way. I encourage you to try this as the results can be life changing. This month’s writing plan does not have a special theme. Shannon decided to keep it general and I can’t wait to see what all God has to say to me as I work my way through it! To open up a printer friendly version of any of these scripture writing plans, just click on the photo or title and it will open up in a page all by itself. Looking forward to joining in for the first time! 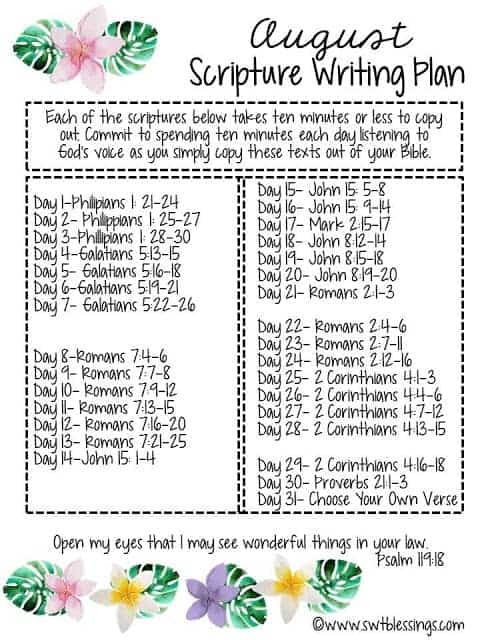 This looks like such a great way to get a little encouragement and truth from the Word daily. 🙂 Thanks for sharing these each month! Many blessings to you and yours! Have a lovely August, too!! We are thrilled to have you join in Elizabeth!!! Hi Christy, I want to join this month as well. 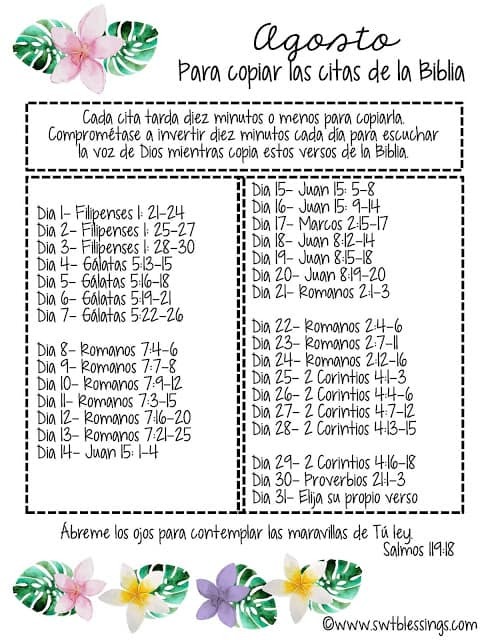 I do not have a great bible knowledge and feel like this might be a great way to increase it! Do you have a suggestion as to what to use for the scripture writing? 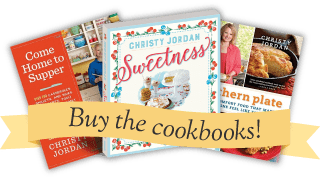 Thanks Christy for all you do, it started out with your great recipes and it has become so MUCH MORE! I am so grateful for that. Thank you, Christy, for your encouragement! I’m Trying To Learn GOD’s WORD! I Was Raised Catholic &We Weren’t Taught The Bible! Pope John Paul 2nd(RIP) Started To Have It Taught In Catholic Schools When My Daughter Was In High School, She Just Turned 39 Week Ago! I Feel Cheated Not Being Taught GOD’s WORD But Catholic Prayers! I’m Trying So Very Hard To Learn&I Think Your Plan Will Help Me So. Very Very Much! Thank You So Very Much, I Really Appreciate It With All My Heart! May GOD Bless You For Helping Me&Others Like Me!